Lazada has not been having a good run. For the past few weeks or so, our office conversations have been peppered with small conversations about Lazada orders and shipments that came late, among other similar issues. Same ‘ol, same ‘ol with e-commerce orders, we thought when we shrugged it off. But when Lowyat published their article about Lazada’s backend and logistics issues, the problem seemed more serious than we initially thought. Our own brief trawl through the site’s Facebook page proved this to be true. While the social media pages of most e-commerce sites are generally filled with comments from customers with one customer service complaint or another, the recent main source of users’ frustrations became clear to us: orders are disappearing from customers’ accounts even though payments have been made. This is not the only problem of course, but in the past 24 hours, this is seemingly the most pressing concern. Certain customers are even contemplating lodging reports to KPDNKK. In a Facebook post uploaded just earlier today, Lazada revealed that this is all happening in anticipation for the 11.11 sale. In an attempt to upgrade their servers and systems in anticipation for the big sale—unarguably the biggest sale for an e-commerce platform—these updates caused the backend to misbehave. Unfortunately though, the damage has been done, and Lazada has to now slowly go down what we can presume to be a long list of complaints to get these cases sorted out individually, and they’re taking measures to ensure that “customer refunds are being sped up”. In the meantime though, irate consumers are still concerned for the possibility of the refund, and we can imagine that they won’t take kindly to being asked to wait. Despite all of this, some users are still professing their support for the e-commerce giant, showing that all hope isn’t lost. 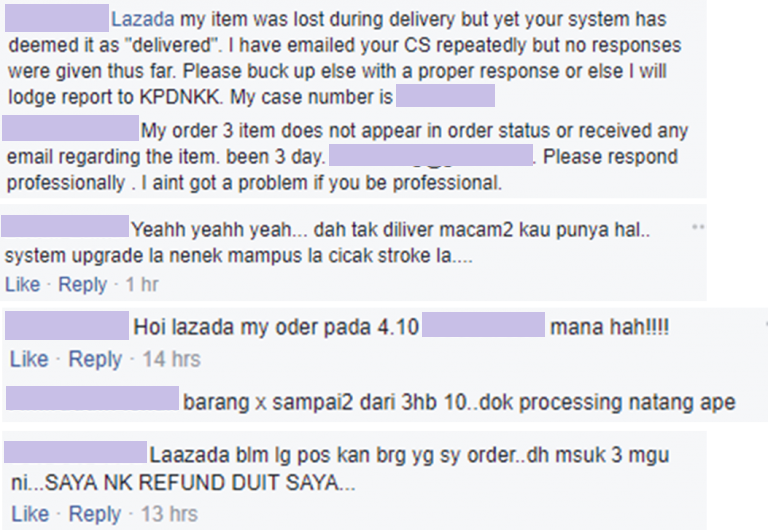 A tip from some Singaporean friends revealed to us that Malaysians aren’t the only ones facing issues on Lazada. 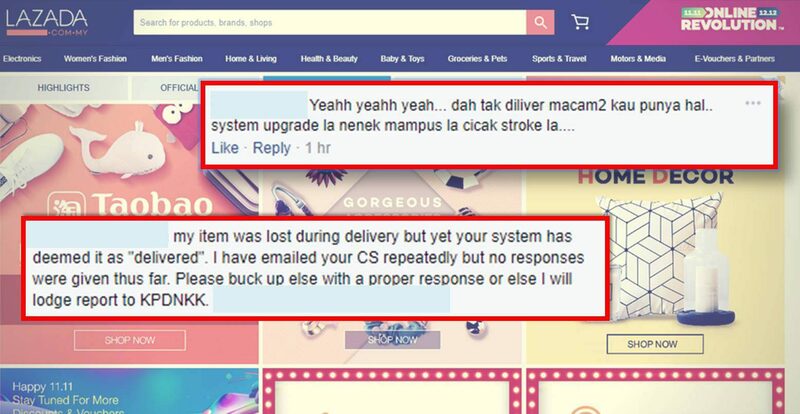 According to the screenshot, Lazada’s Singapore backend might have its own issues too, with product orders being sent to the wrong sellers. And with one of their biggest sales coming up, we do hope that Lazada gets everything sorted by then, and users affected are refunded or returned what is due. For now, many on social media are cautioning their friends and family from buying on Lazada until all of this blows over.